We booked a stay at this Pub in 2007/2008 and not sure if it was the same landlord as that who received the adverse comments on this site but we can say that it was one of the nicest establishments that we have ever stayed (and there have been very many) The food was absolutely excellent and during the three or four days that we were at the premises it was "absolutely packed" every night and people were waiting for a table!!. The ale was very good and well kept and the landlord and his wife were also very friendly and the other staff were also without fault. The only distinguishing factor that we can recall about the landlord and his wife was that they had Harley Davidson motor-cycles and we think either came from Yelverton (which is near to us) or their name was Yelverton. If we were asked to give a rating out of 10 we would readily give them a 9 (10 being something to strive for in the future) The only reason we came to this particular website, was that we were looking to book some accommodation again at the property in the near future, so you can imagine our disappointment when we learnt that the premises are now closed. - Such a shame as the location was also perfect. drove all the way up to find this pub, only to find out im a couple of years late. sad. Pub has been closed and turned into a private house which is currently up for rent. A few sad bits of pub furniture and fittings are still in a skip outside. 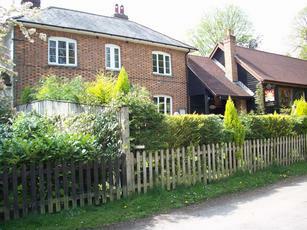 Shame as was a classic, isolated rural Chilterns pub. The pub appears to be closed now. Future licencees should take note, that if your main customers are walkers, then putting signs up that say "No muddy Boots", doesn't encourage walkers to come in.